Colin Biddle MBAcC DO BSc BA Cert Ed Cert. Ac (Nanjing). 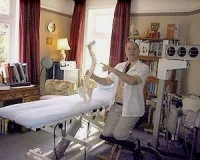 Having worked initially with the Medical Research Council as a bacteriologist/immunologist and latterly as a osteopath with the GOsC I now concentrate on Chinese Medicine notably acupuncture and nutrition bringing in other disciplines as necessary.